Designed in Italy and made from a carefully selected variety of skins from all around the world, Classe Italiana shoes are hand crafted to last a lifetime. Some of their designs are quite exotic but I settled on the Maxx purely because of its color and the contrasting panel of pebbled leather. Embossed Classe Italiana logo on the heel. But no matter how much I wax lyrical about leather shoes, they do cause a fair deal of pain and discomfort during break in. When you first put them on, they slip on so easily and feel so great to be in, but a few minutes of walking later you will be dying to take them off. This is simply because leather is stiff when brand new and is meant to be broken in. Over time, the upper and the insoles will mould to your foot to give you that perfect custom fit. The trick to dealing with this is to reduce the amount of time spent in them initially. Instead of taking them out of the box and spending a 12 hour workday in them and succumbing to excruciating pain and blisters, just wear them for an hour at a time. Wear them around the house for a few minutes if you can’t wear them outside for short periods of time. Or take them to work and wear them at your desk. Your shoes need rest too, so use shoe trees when you aren’t wearing them so they hold their shape. Eventually you will be able to spend entire workdays in them with no pain. Here’s a look at the leather sole under these beauties. As you can see, they are quite flat, offer no traction and I have come close to wiping out in these while just walking down a wet street. Leather outsoles also require breaking in. However leather soles make for a more dressier and formal shoe, and are representative of better craftsmanship. The most beautiful shoes made in the world always come attached to leather soles. They also make this clicking sound as you walk which is extremely satisfying to hear, much like the sound that a pair of heels make. It’s just one of those finishing touches that draws positive attention to that fact that you have a superior sense of dressing. Looks great with denim and dress pants. Versatility in its finest form. 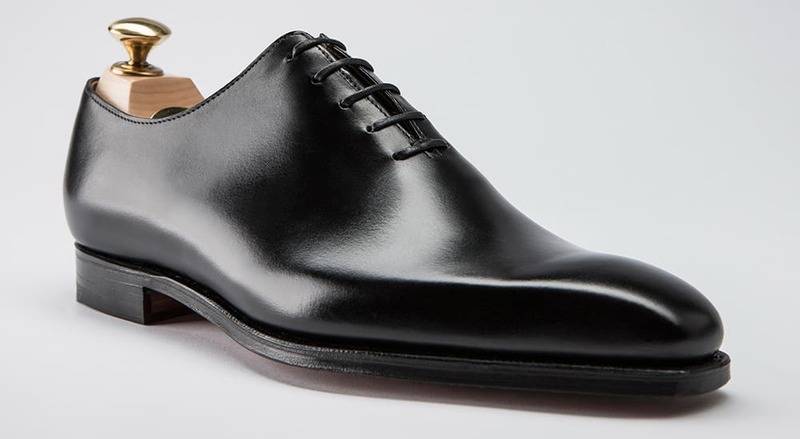 A pair of quality leather shoes will cost you a lot more than a similar rubber soled run-of-the-mill pair but if you look at it as an investment, I think it will make sense to you. Even more so if the shoe is nothing like anything else you’ll see. The contrast panel and the way the stitches run from the toe to the heel on this shoe remind me of sleek sportscars and 80s excess. I guess true things of beauty are those that invoke feelings. Classe Italiana has a store in Bangalore as well as a website.